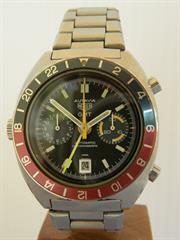 The Autavia GMT was the most expensive non gold Heuer in the 1974 catalogue. 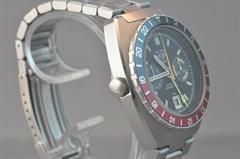 It had the most complicated movement, a dual colour bezel and the most expensive bracelet. 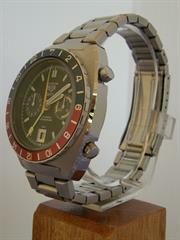 In Germany it was DM 740,- which was DM 115,- more then the now iconic Monaco 1133B (Steve McQueen, LeMans film). 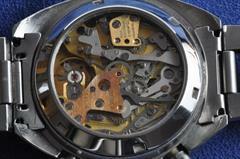 The non original glass case back gives a fine look to the wonderful cal. 14 movement.